Publisher: William Heinemann Ltd, 1942. 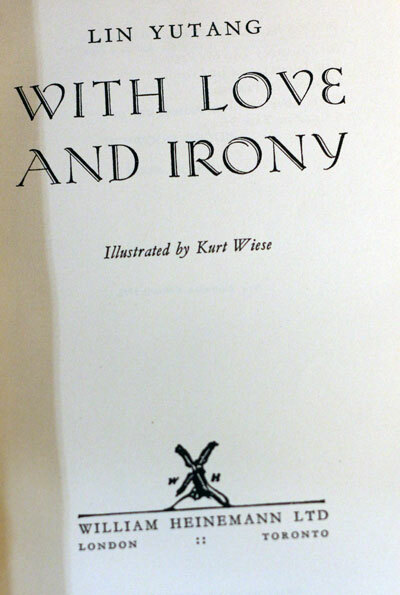 First Australian edition. Condition: Hardcover, blue cloth. Some fading and discolouration, but good interior. Lin Yutang (Chinese: 林語堂; pinyin: Lín Yǔtáng; October 10, 1895 – March 26, 1976) was a Chinese writer, translator, linguist and inventor. His informal but polished style in both Chinese and English made him one of the most influential writers of his generation, and his compilations and translations of classic Chinese texts into English were bestsellers in the West. 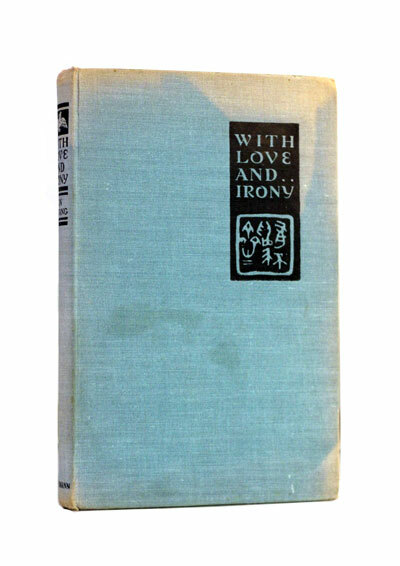 Lin Yutang proved a perfect antidote to some of the sloppy writing of those to whom English is a mother tongue — and there are few such writers who would not do well to study his genius for graceful language, for simplicity, for pungency, for vividness, for brevity, for humor. This volume is a pot pourri of sketches, some taken from the column he contributes to The China Critic, some old, some new. There are even bits one will recognize in his earlier work. There is no attempt to unify or synthesize the material — simply it is presented as collected, with subjects ranging a wide field, from Mickey Mouse to the Future of China. And, almost without exception, refreshing reading. Here is another chance to prove that essays will sell, particularly when they reflect the character of a loved author. In format the book is delightful, and Kurt Wiese illustrations are exactly right.